50 years ago today, Robert F. Kennedy's funeral train traveled from New York to Washington, DC, passing the nearly one million Americans lining the tracks to pay their respects. Looking at the iconic works of Paul Fusco that captured the scenes from the train windows, artist Rein Jelle Terpstra observed that many of the subjects too were holding cameras. Where were these photographs? What stories did they tell? He spent years tracking down more than two hundred vernacular images, home movies, and personal recollections to construct another vantage point of this historic day. 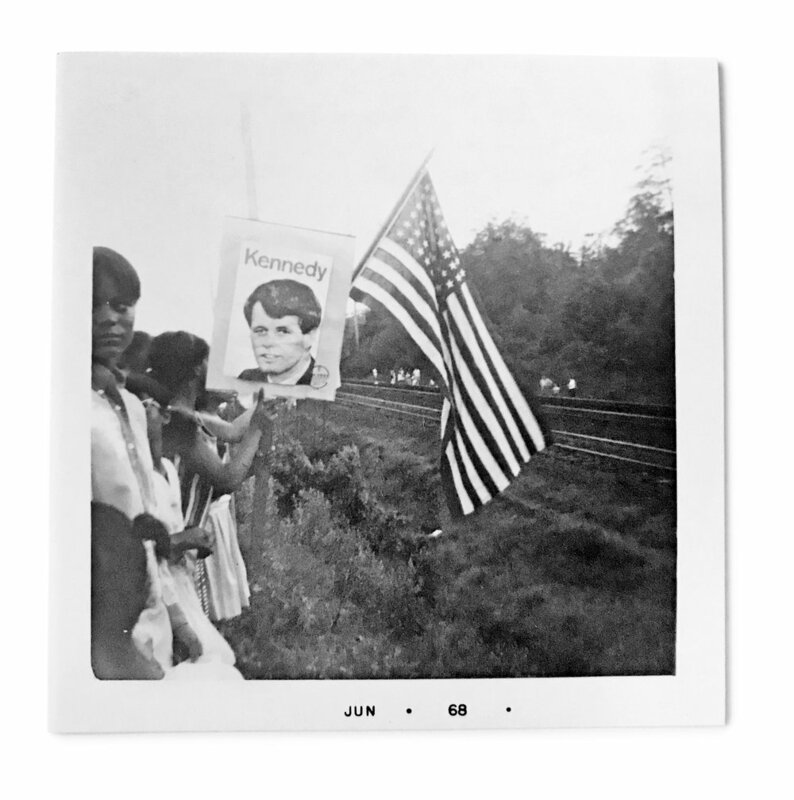 Robert F. Kennedy Funeral Train: The People’s View presents a photographic reconstruction of this historic train journey from the people's perspective. Published by FW:Books with support from the Magnum Foundation.